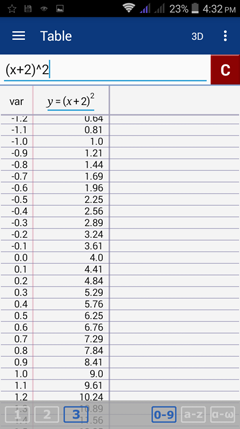 Functions graphed in the 2D graphing window will have a two-column table: one column for the independent variable and another for the dependent variable. 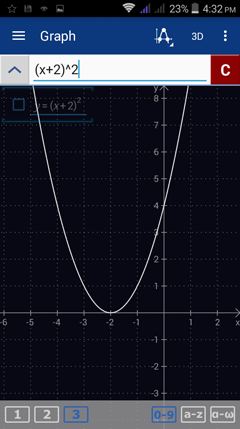 The equation y = (x + 2)^2 is a 2D graph of a parabola. 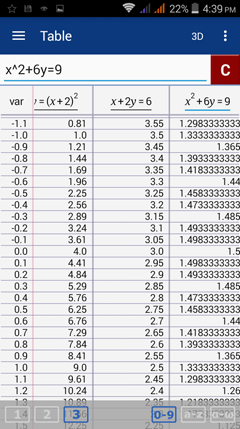 To see its table of values, tap the menu button and choose Table. 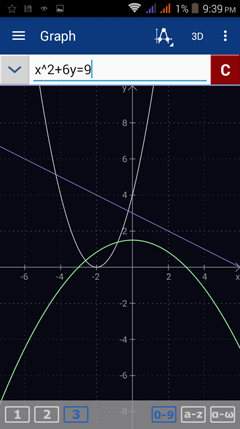 If another equations are graphed simultaneously in the same 2D workspace, the graphs' x and y values will also appear in the same table. To see the shared table, tap the menu button and select Table.